The BPF’s Recycling Group has written to Defra junior Minister Richard Benyon in a bid to bring its arguments for PRN reform to the fore. ‘With the recent Ministerial re-shuffle Ministers are likely to be taking stock but it is crucial that they follow through by capitalising on the opportunity to improve the UK’s recycling infrastructure which we believe to be fundamental to achieving recycling targets going forward’ said Group Chairman Roger Baynham. 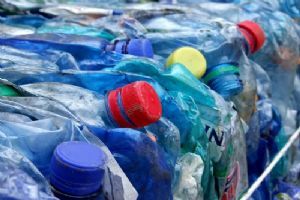 The Recycling Group is arguing for the Producer Responsibility system to more strongly encourage re-processing in the UK as opposed to the export of unprocessed waste. ‘The case is extremely compelling’, says Baynham. ‘On the one hand Corporate Social Responsibility programmes call for brand owners and retailers to incorporate more recycled materials in their products yet as an industry we continue to remain over dependent on exports which focus upon volume rather than upon quality of outputs’. As Asian markets continue to weaken and are less able to absorb our waste there is a real danger that 2012 targets might not be met. With very challenging targets stretching into the future the logical consequence will be an escalation in PRN/PERN values, a significantly added cost for all in the supply chain right the way down to the retailer. There is also a real concern that PERNs will simply be used as a mechanism to subsidise exports to a point where such waste materials become competitive on world markets. ‘There is no doubt that the current system works in favour of waste exporters to the disadvantage of the UK recycler’ says Baynham. ‘Not only that, but our members are worried that high PRN/PERN values will incentivise unscrupulous players to pass off unobligated packaging as packaging waste, so the current system would become in effect a “cheaters charter”’. ‘The quality of raw materials available to our members is of absolutely paramount importance. Increased PERN values will only serve to incentivise contamination, drive down quality and undermine the good work already done’. Baynham concluded: ‘The current inequality between PRNs and PERNs will seriously jeopardise the implementation of best practice in plastics recycling, weaken the efficiency of UK plastics recycling plants and provide a serious disincentive for future investment in UK recycling’. He added that these themes will be elaborated upon at the BPF’s forthcoming ‘REPLAST 2012’ conference and the feedback of all stakeholders will be eagerly sought at that time.